Scandinavian interiors inspire me everyday, the minimalistic design and styling make me dream of a simpler life. I’ve edited my home with this style and it’s made such a positive impact, I feel much happier and calmer within my surroundings. The key to creating a successful Scandinavian look is to go bold in the simplest of ways, sounds confusing but minimal design can be bold, screams the term ‘Less is more’! It takes a lot of confidence to pare back the design and not over style a room. Over styling can look cluttered and messy yet under styling can make a space feel bare and boring. Hands up! I slip up too, it’s so tempting to display everything that we love but it has a danger of losing style. When Habitat asked me to create a mood with their products, I immediately wanted to share my take on a simple, modern Scandi look. 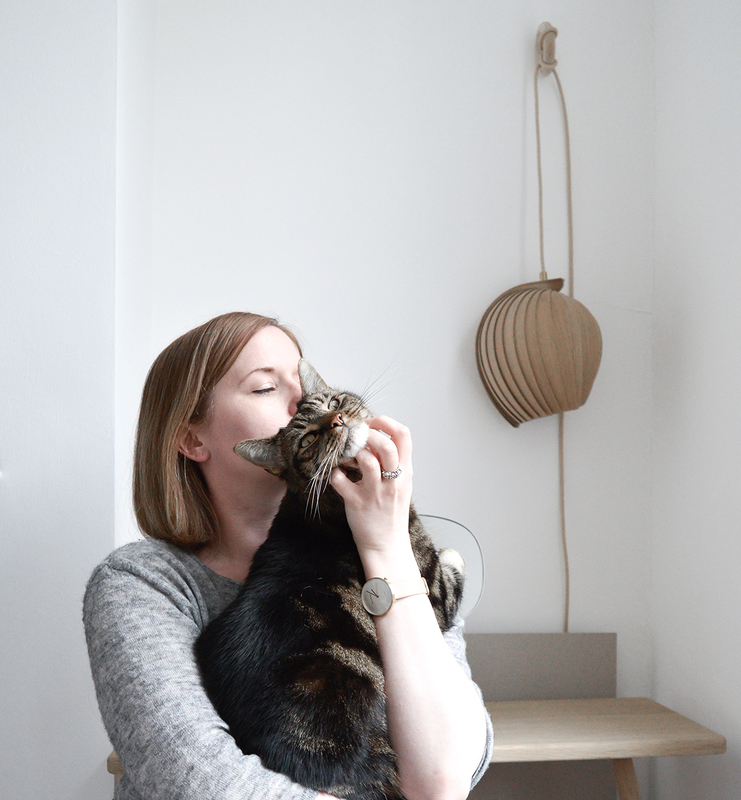 Below I’ve broken down why I have chosen each product, whilst obsessing over them and giving you a little insight into my design style. The KURA folded paper light shade has perfect clean lines, geometric shapes and an essence of craftsmanship, a quality that is often found in Scandinavian design. Choosing this shade will create a great impact in any room. The Bobby floor lamp is awesome!! It has a personality of its own, this creates a statement because of it’s sheer awkward proportions, it reminds me of a lanky teenager, ha. UK based designers Seventy Tree have designed these Heart and Circles prints and are so beautiful. The graphic nature of these prints gives a modern feel and brings an edge of cool. I’m not one for cutesy furniture, I like a balance of bold geometric forms with the addition of soft complimenting elements, such as colour and texture. This Hyde sofa has a beautiful simple form softened by it’s grey upholstery, given further elegance with wooden legs. Both the Coralie table and the Jai ladder shelving unit have sharp white lines, which looks great with the floor lamp. Having wooden features too , they compliment the sofa. Textiles and accessories are key when dressing a room. There’s no reason that they have to be boring or clutter a space. The Accordian throw maybe a little plain but the pleated texture is perfect against the sofa. As I mentioned earlier, craftsmanship is celebrated in Scandinavian design so the knitted floor cushions are perfect to represent this element. What I love about these is that although they’re knitted cushions, which sounds all very quaint, they’re contrastingly made with a very strong and hard rope. The colours are stunning too! Not forgetting the addition of the Deacon faceted mug, it’s awesome, a matt stoneware faceted mug, I love it! I’m very happy with this Scandinavian inspired selection. It reflects my vision and dreams for a modern, minimal and cosy life. ooooh, I fell in love with that pendant light shade at first sight! So lovely. And the geo-inspired coffee cup is awesome. Hello from a fellow Blogtacula attendee! Oh I look forward to meeting you at Blogtacular! whoop! It’s gonna be great! I vouch for the pendant shade – I have two in the living area of my (typical) London Victorian terrace. It works perfectly with the ceiling mouldings (and a graphic rug) but gives a modern edge with all the period features, AND it’s so inexpensive! What a great combo Karen! Love the contrast between modern and traditional.